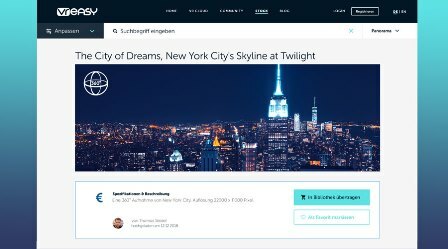 Upload panoramas up to 12,000 x 6,000 pixels and link them to virtual tours in just a few clicks. Drag and drop media spots directly into the tours: texts, photos, videos, logos, floor plans, graphics, PDF, sound files. 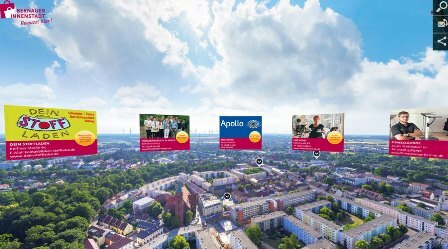 This turns your panoramas into true marketing power tools. 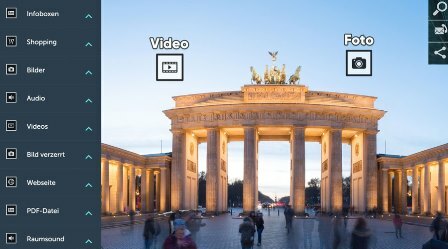 Every tour and every 360° panorama automatically receives a specific link, which you can share via all social media channels and via e-mail and integrate into any web page via iFrame. With the empty key you create a link that takes over the current angle. The tour starts right there after clicking the link. Customize the color scheme, logos and the spot icons of the tour to your corporate design or that of your customer. That is really appropriate for a versatile, professional marketing tool. 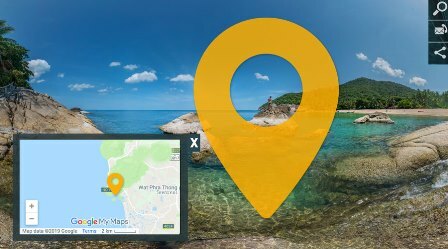 Tagg your panoramas with geographic-data and position them clearly on an integratable Google Map. Ideal for clarity in larger tours for cities, business parks and regions. 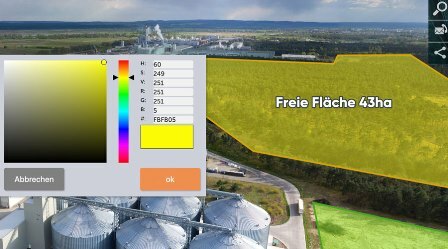 You can insert linkable graphics so that they fit in perspective to the surfaces in the 360° panorama. You can do this with e.g. 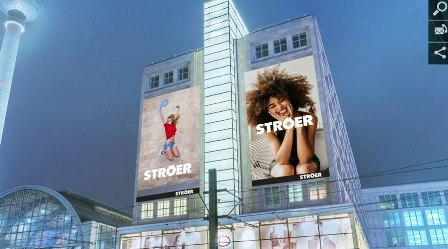 "stick" an advertising poster to an empty wall, put a product into a shelf, or put a bouquet on a table. 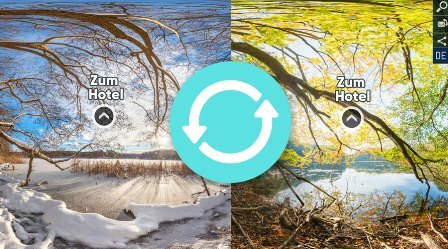 You can make multiple 360° shots from the same point of view superimposable that no matter which direction you look, you can dazzle from one shot to the next. 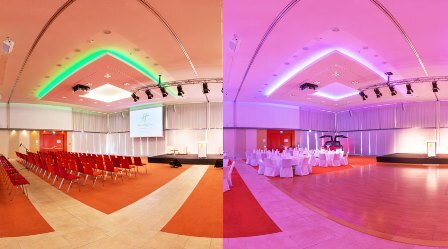 This way, you visualize effectively, among other things, day / night or winter / summer shots of a tourist destination or different seating arrangements of an event location. 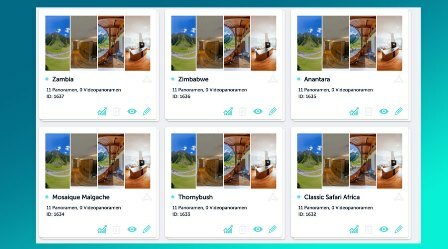 Transform the emotional power of your 360° panoramas into sales to your users: Integrate booking, ticket, reservation or shop systems. So a user - inspired by the perfect accommodation that he sees in the 360? 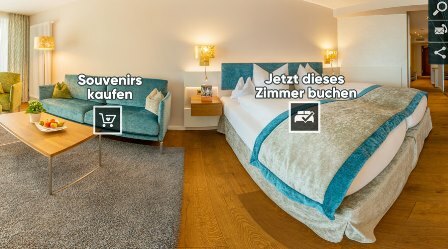 ?° tour - can book exactly this room or apartment with a click on the booking icon (on the bed). Mark certain parts in the panorama colored or invisible with linkable polygon areas. For example, if you have e.g. 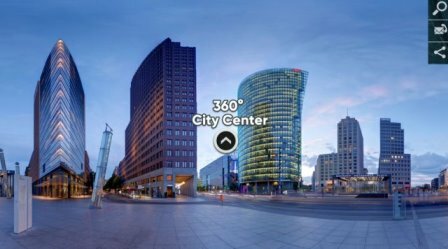 a 360° air panorama, you can mark certain areas to be rented in different colors. By clicking on these areas, the corresponding text opens with further information (size, price, contact, web link ...). Start the tour with a short personal address. Prove your comitment to your customers. By clicking on a self-defined icon or logo in the top left corner of the tour window, a 360° bidding round can be displayed. 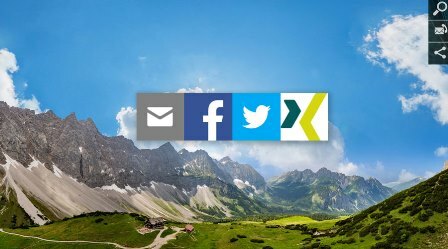 This consists of graphics or photos that you can link to other panoramas or websites. Perfect for large tours to highlight special panoramas, refer to coupon offers or link to special affiliate shop websites. 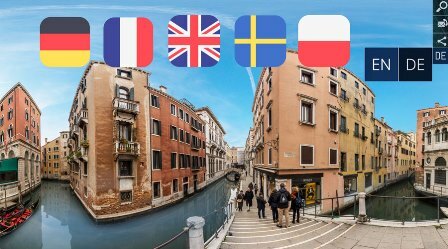 Each tour can be created in several languages (German, English, French, Spanish, Swedish). Especially useful for multicultural projects, international clients and global marketing strategies. 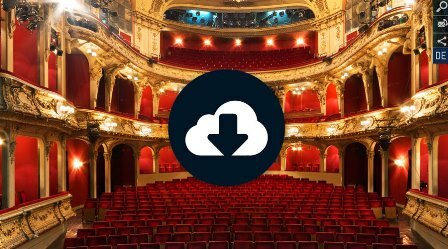 Download the entire tour as a zip to your computer. Then you can present the tour on occasions with no or poor internet coverage. 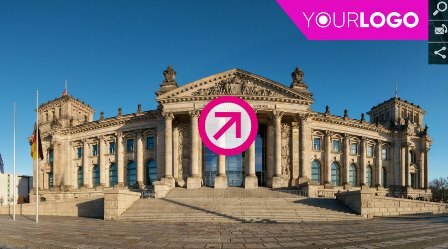 Replace panoramas of your tour and keep your integrated links and media. For example, you can exchange a summer for a winter view of a hotel. This keeps alls adjustments which were done tot he first panorama. Use the search function to quickly find interesting content in the tour. 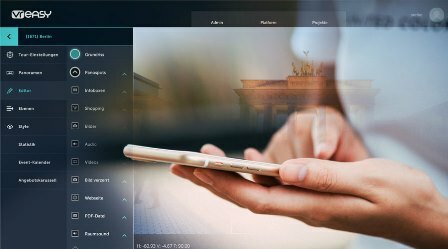 By the way, you are always up to date with us: We are constantly developing new features for our cloud. We follow the wishes and ideas of our customers. For users of the paid version, all novelties are automatically available. 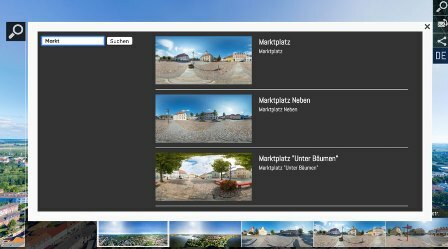 Buy or sell panoramas through our stock feature. For 360° photographers the opportunity to develop a new source of income. For people who do not create their own 360° shots, the opportunity to still come to their own 360° tour or 360° website. We know that more and more users are taking 360-degree shots with mobile devices. That's why we're working on a version of our online tool that's optimized for cell phones. In addition to 360° photography, 360° videos can also be incorporated into the tours. 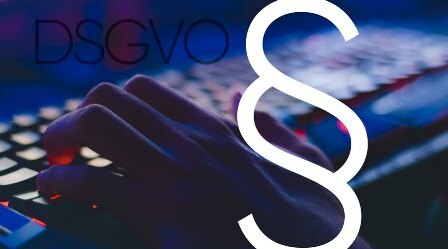 Generate with the generator all the necessary texts to make your 360° tour or 360° website legally compliant and in compliance with the GDPR of the EU. 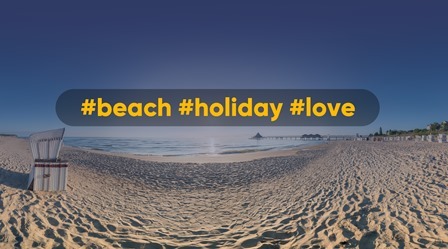 Categorize your panoramas with hashtags and use them (especially for larger tours) to sort them by topic (for example, show "shops", show "restaurants"). 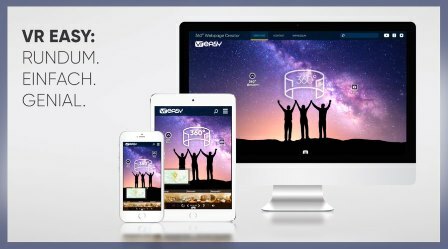 Combine the visual power of 360° tours with the informative power of "classic" websites: Create an attractive 360° interactive website based on your tours. So many functions - and all really EASY in use and use. It starts right at the start: you do not have to download anything, install anything. Because this cloud is online. Just start.